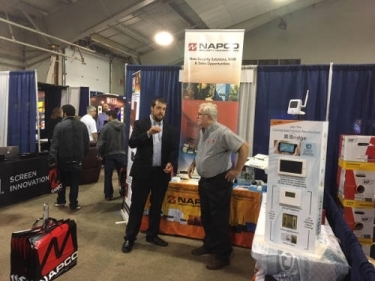 Hands-on training for integrators at local events like the MRI Expo in New England are a prime example of the value local distributors bring to the market. Online ordering is a fast and easy habit that has transferred from our personal purchases and into how we do business. One-click and automatic orders of regularly stocked items are helpful for dealers’ day-to-day operations; however, having access to a local distributor can benefit dealers in more ways than one, with convenient ordering, same-day pickup, training, expertise, and exclusive deals. Dealers must keep a bare minimum inventory of basic automation, security, networking, audio, accessory, etc. equipment for their regular installation schedule. But every installation is different, and dealers need to procure different products and specifications to suit each individual job. A home, office, or restaurant’s size, regional location, building materials, occupants, intended system use, etc., can have an impact on the equipment needed for an installation. One set of products won’t suit all customers’ needs and price points. For access to a large range of products in a variety of sizes, colors, and other options to suit all kinds of installations and customer requests, a local distributor is a resource for dealers to get devices in-hand, even same day, without shipping fees or added wait time. "Although manufacturers often provide support and installation advice, it often stops when products from other brands get involved." On top of convenient locations with dozens of brands in-stock on demand, distributors provide dealers with industry knowledge, staying up-to-date on trends across residential and commercial automation, security, networking, etc., as well as new products on the way from manufacturers. Although manufacturers often provide support and installation advice for their installers, it often stops when products from other brands get involved. Distributors have a wider range of expertise across product lines and categories for installation best practices, system design, and product recommendations to help guide dealers on choosing the right components for an installation. Distributors also provide troubleshooting support both in person at the distribution center and as a reachable resource. In addition to expertise, distributors also serve as a training location and education resource for dealers. Many certifications and manufacturer trainings are available online, or at training centers in major cities and metro areas. While online training is valuable for integrators and technicians to keep their skills up-to-date, hands-on instruction and live Q&A with an instructor is a valuable experience that will translate on the job site and can’t be replaced. Distributors are a local destination for dealers to regularly access industry, technology, and manufacturer training, as well as new product demos, in person. They also host trade shows and demo events to bring the latest advancements to a nearby, convenient location for dealers to check out before products become available. This also means that as soon as new products are shipping and available, dealers are equipped with the knowledge and new training they need to confidently improve installations using the latest products and technologies. In addition to these benefits, PowerHouse Alliance distributor members also give dealers an advantage with its exclusive house brand: A2V. A2V includes a line of high-quality racks, mounts, cables, speakers, (and more categories being added regularly), with excellent margins and an industry-leading rebate program, perfect for when a consumer-recognizable brand name isn’t necessary. Though one-stop online ordering has its benefits, combining that with a fully-stocked and fully-staffed nearby distribution center that also serves as a training and installation design center, gives dealers the best of both worlds in today’s fast-paced environment. Dennis Holzer is executive director of the PowerHouse Alliance.